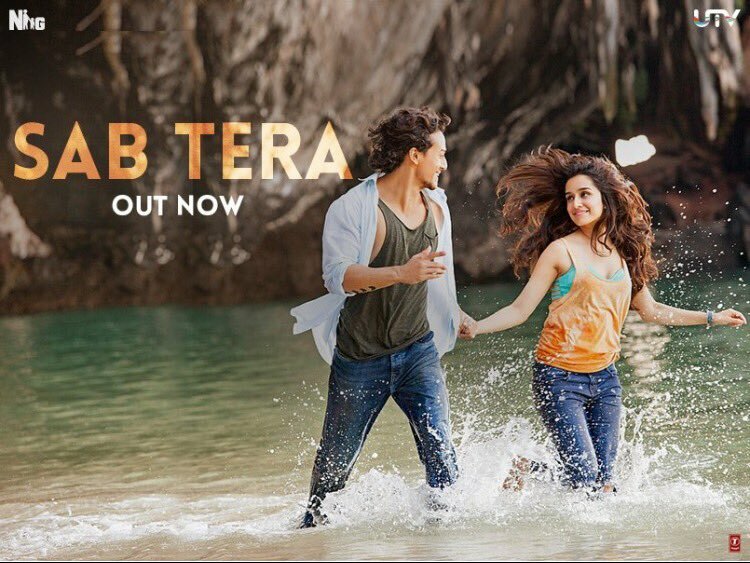 SAB TERA Video Song from upcoming movie Baaghi, starring Tiger Shroff & Shraddha Kapoor in lead roles, directed by Sabbir Khan & produced by Sajid Nadiawala. The song Sab Tera is beautifully song by Armaan Malik & Shraddha Kapoor in the music composition of Amaal Mallik & lyrics by Sanjiv Chaturvedi. Song Programmed by Akshay & Akash. Song Mixed And Mastered By-Eric Pillai (Future Sound Of Bombay). Music Assistants – Yash Narvekar & Zaid Patni. Live Guitars, Dobro & Banjos – Ankur Mukherjee. Backup Vocals – Amaal Mallik.